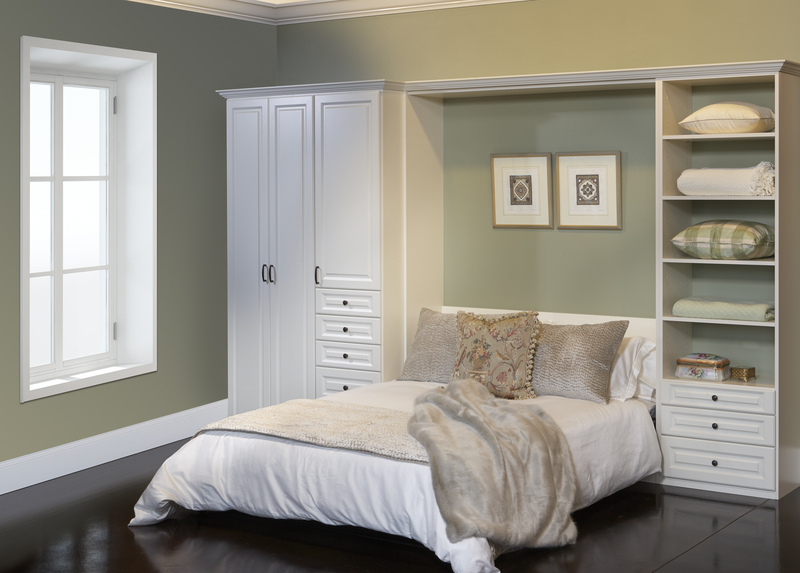 St. Louis Murphy Beds | Wall Beds | Saint Louis Closet Co.
Murphy Beds and Wall Beds are the trendiest thing in home organization! 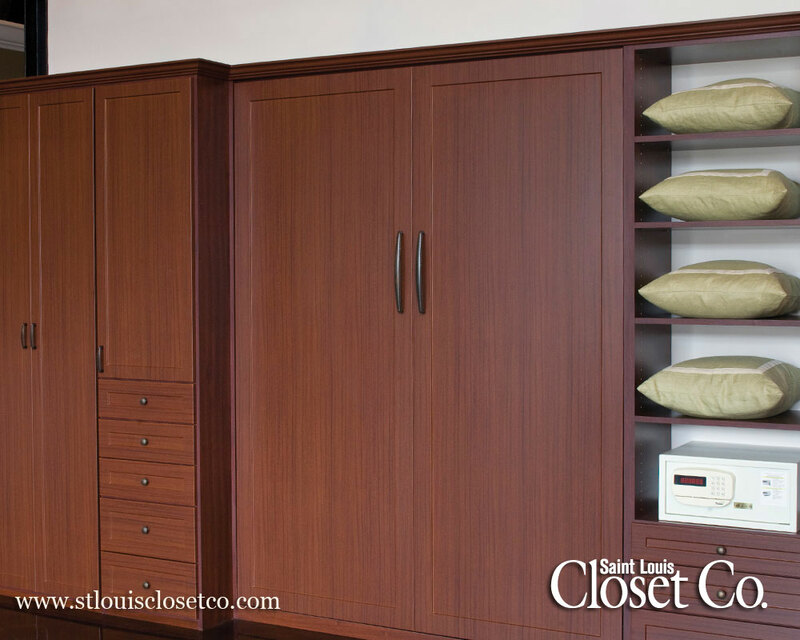 Perfect for those strapped for space, Murphy Beds from Saint Louis Closet Co. are available in either Queen- or Twin-size and fold easily against the wall when not being used. Murphy Beds and Wall Beds are great for everyone from the Baby Boomers to the twenty-somethings living in lofts downtown. 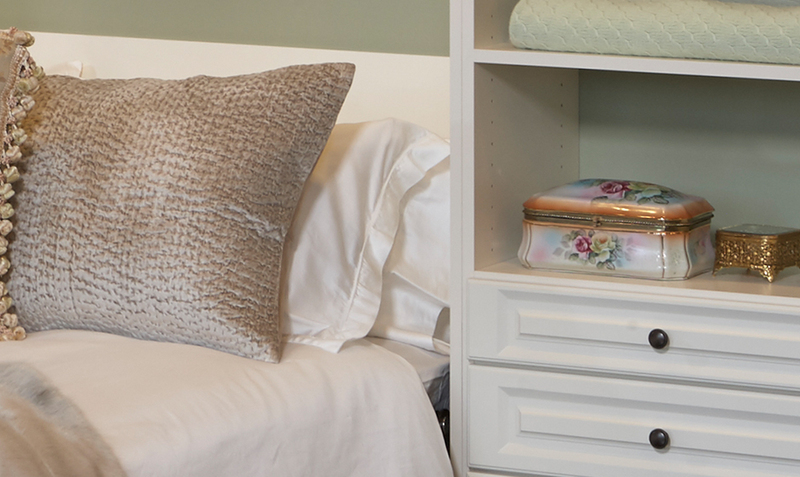 They are a great option for homeowners who want to give their overnight guests a more enjoyable night’s sleep than they’d get from that uncomfortable fold-out couch. 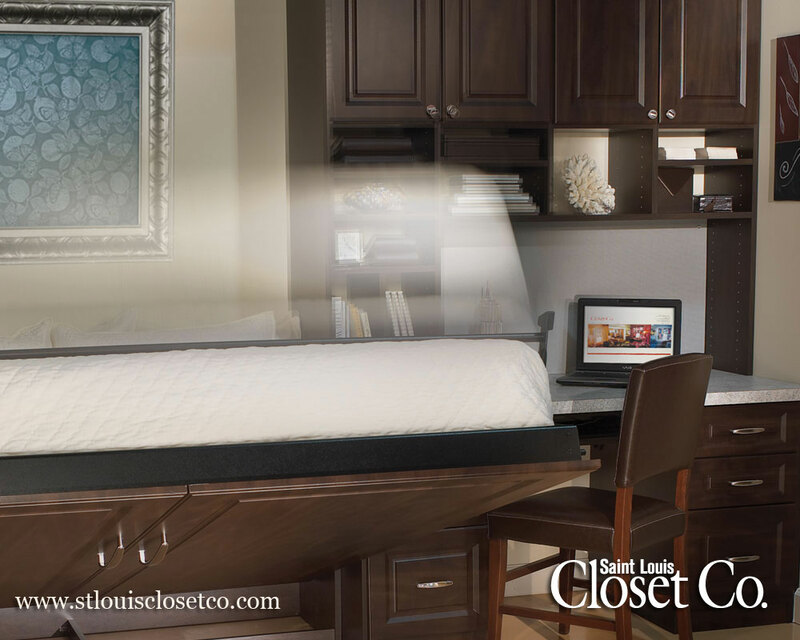 Your Murphy Bed also gives you the opportunity to use the additional space for other organizational needs. 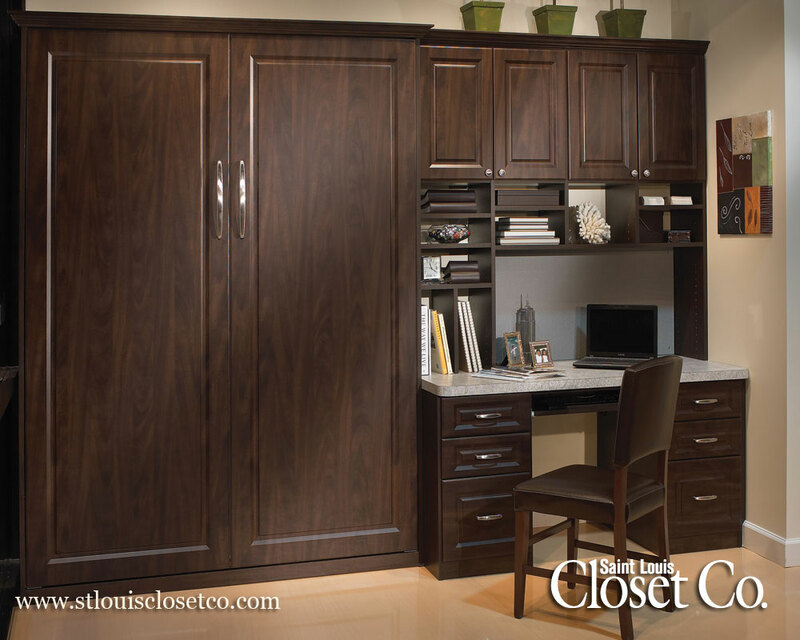 The most popular additions are desks, bookshelves, and extra closet space. The possibilities are endless, so ask us for more details!